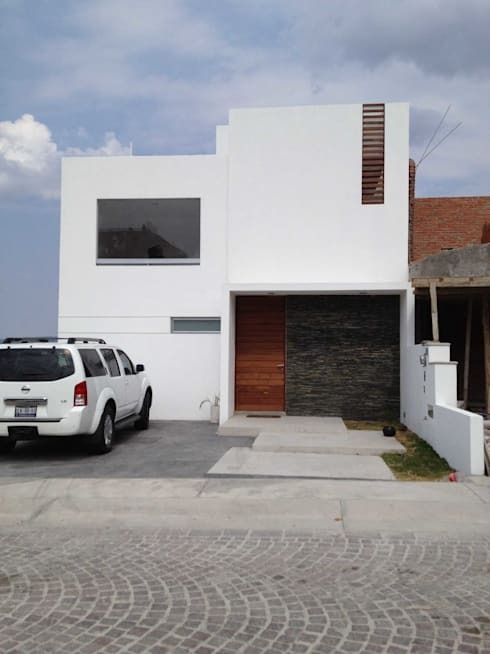 Are you looking for a dynamic idea that will make your home façade look attractive, eye-catching and original? In this edition of homify, we tackle the exterior entrance of the home, and consider some awesome ways to get it looking creative and full of life, and of course the envy of your neighbours! The façade is the first point of access that your guests will see when visiting your home, and it therefore needs to be inviting, neat and uncluttered. 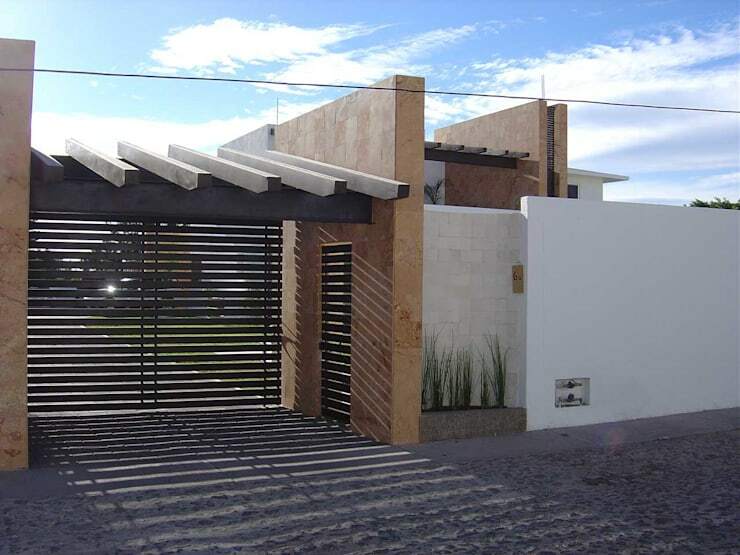 Remember, that your façade also needs to bear in mind the aspect of safety and security, while being inviting. The lattice design that makes up the entrance gate of this modern home has been utilised to cover the top floor windows too, this is great as the design follows through from the ground floor up to the top of the home. The addition of violet and white contrasts magnificently, and is perfectly complemented by the beige cobblestoned floor. 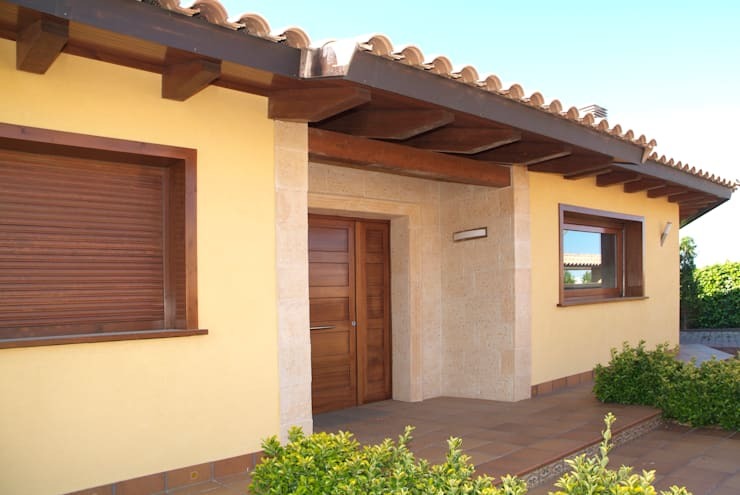 The colour of the flooring and wooden front door of this home is warm and friendly, and complements the façade, something which the architects thought about before they began the design project. In this image, we can see the full view of the sensational façade. 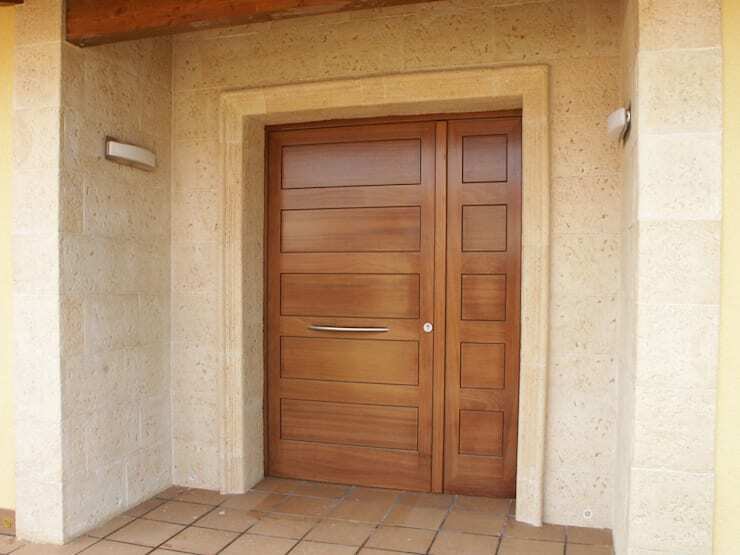 The exterior comprises of stone and concrete, and a warm and inviting wooden front door. The use of elegant illumination adds to the inviting charm of this space too. 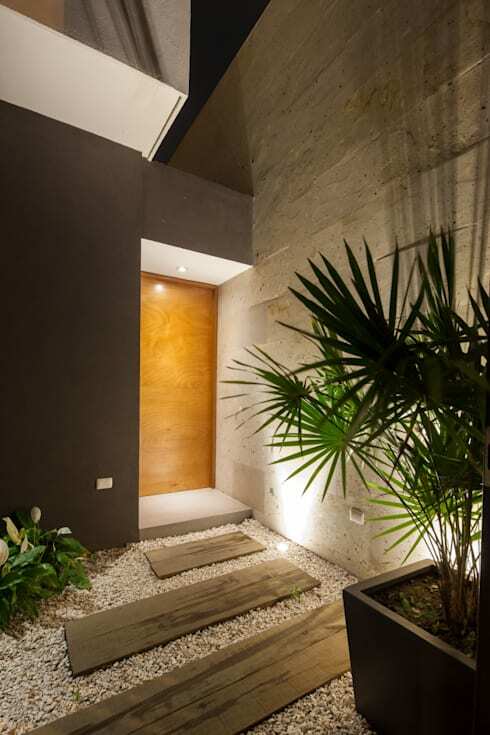 Lighting plays an important role in the cosiness and ustwelcoming effect of a home. This entrance is friendly and inviting, and the wooden steps as well as addition of river stones is the perfect way to add rustic inspiration to this façade. 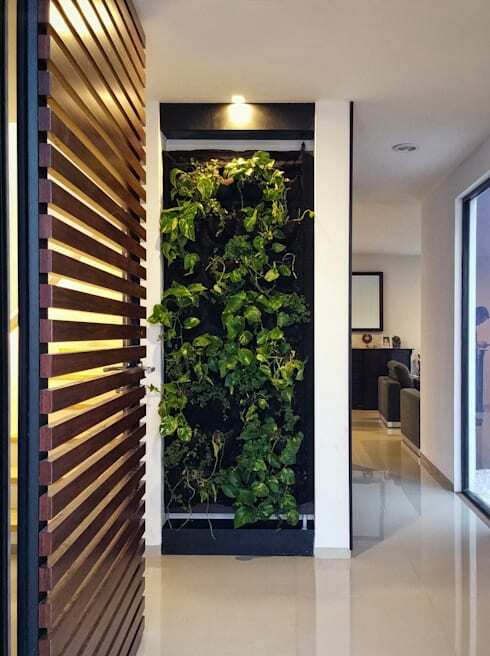 A close up view of this house, shows off the attractive lattice doors, and we also catch a glimpse of the elegant interior and the vertical garden located inside this gorgeous home. Wooden beams create a lovely effect to this home exterior, and make up the rather large and inviting garage, as well as the almost hidden main entrance of the home, it’s a touch of rustic identity, but the effect is amazing! 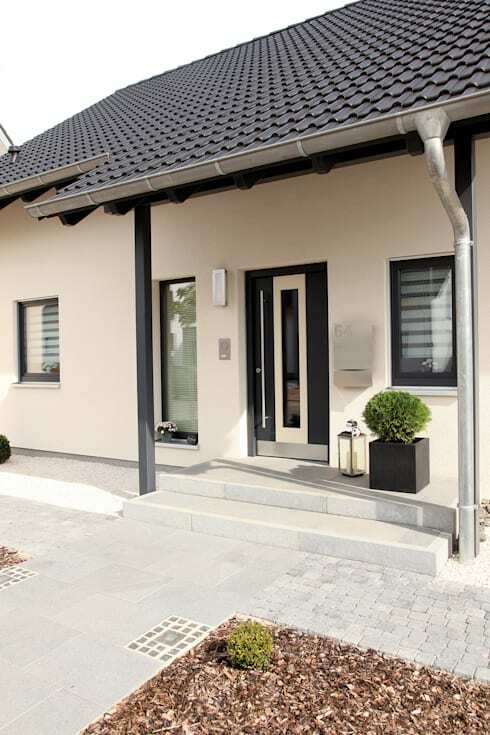 The materials incorporated in this home exterior creates a comfortable and naturally stylish effect. Stone and wood add character and personality to this otherwise minimalist façade. The earthy and neutral tones utilised in this home façade is warm, welcoming and rustic in every way. The house is reminiscent of a gorgeous Spanish villa, making it attractive, eye-catching and an unbelievably charming sight. This entrance has been excellently coated in limestone, creating an authentic yet elegant appearance that is durable and stylish. The material is resistance to weathering, allowing the walls to look even better with age. 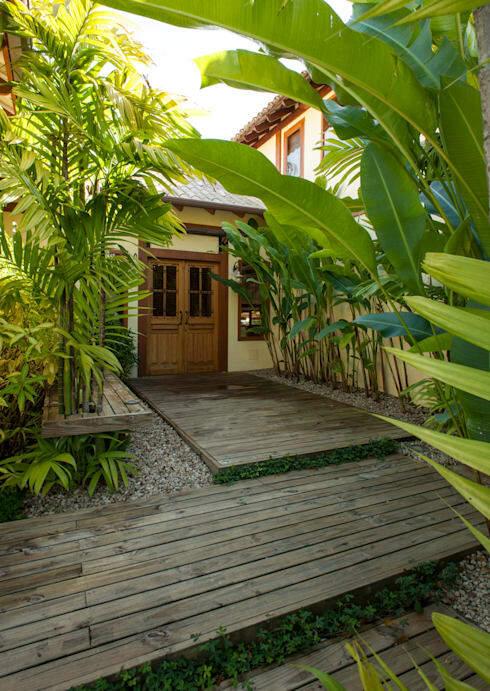 This home entrance is highly economical. The iron pergola adds a country effect, while the word “hello” placed on the wooden door enhances the welcoming and inviting charm of the house. 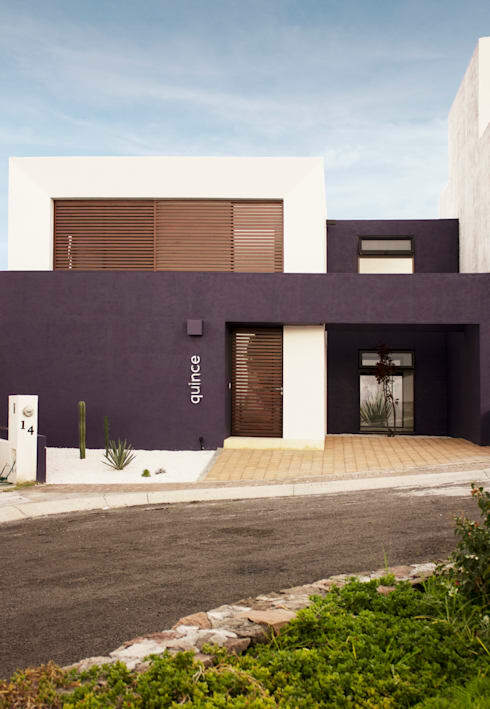 The façade is made up of two colours that equally attractive and eye-catching. 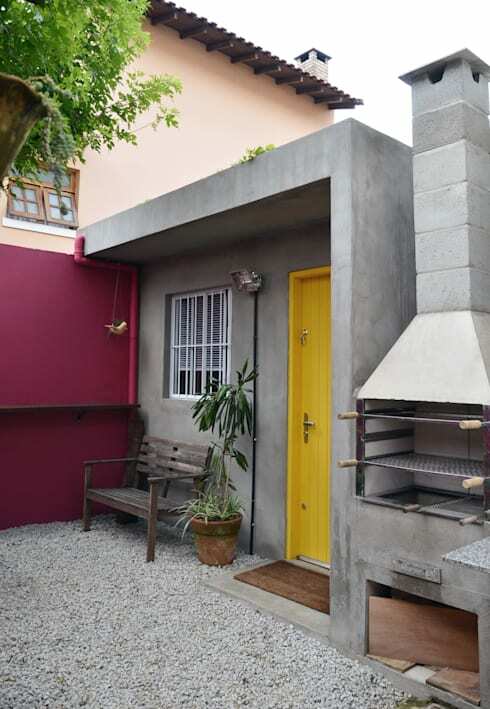 The magenta wall and yellow door along with the grey façade definitely has a lasting effect on the memory. Security is a must-have in any home setup, but that doesn’t mean that the gates need to look ugly, boring or uncreative. This is an example of how your home can be perfectly safe and secured, while looking gorgeous too. The monochrome palette is maintained, creating an elegant façade. When considering the design of your front yard, it is important to look at incorporating a pathway that leads up to the entrance. This will make your home seem more inviting, while also keeping your lawn and plants in perfect condition. 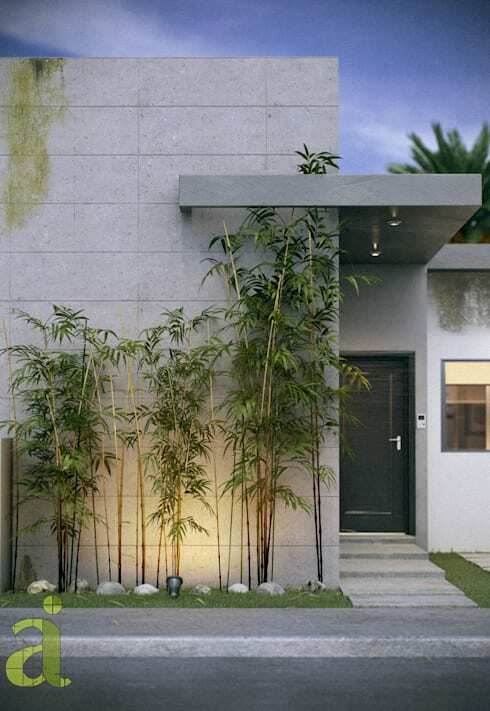 Our final look at home entrance ideas, looks at adding some lush outdoor vegetation for that jungle-like effect. It is however important to choose plants that will look amazing throughout the year. 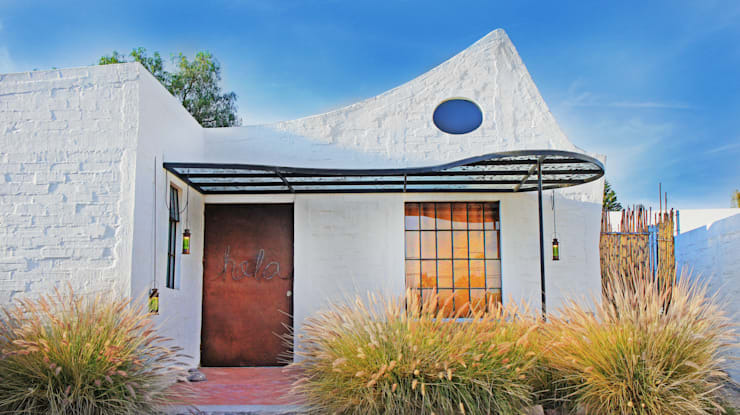 If you are considering roof ideas, then these 11 South African homes with thatched roofs are gorgeous. Which of these ideas would your consider?